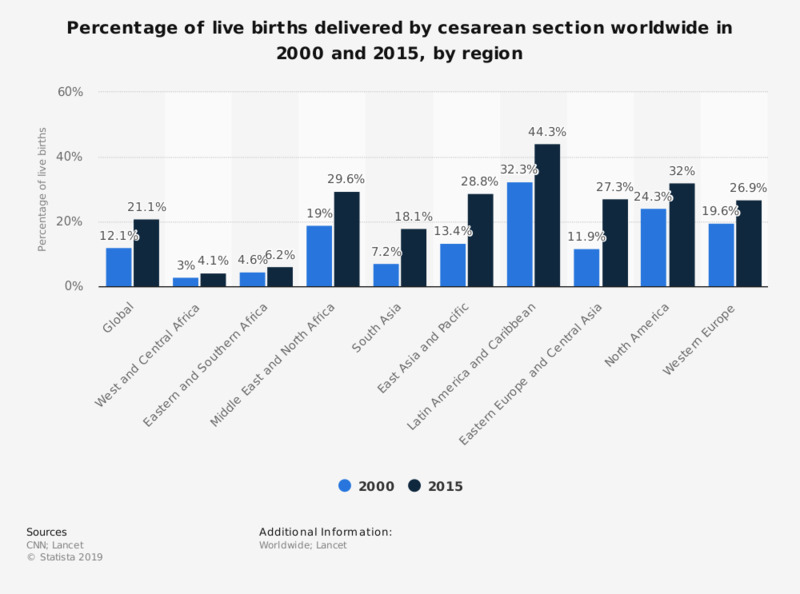 This statistic depicts the percentage of births that were delivered via cesarean section worldwide in 2000 and 2015, by region. According to the data, Latin America and the Caribbean had the highest rate of cesarean sections in 2015 with 44.3 percent of births being delivered by c-section. How important is to have been born in Italy for being truly Italian?